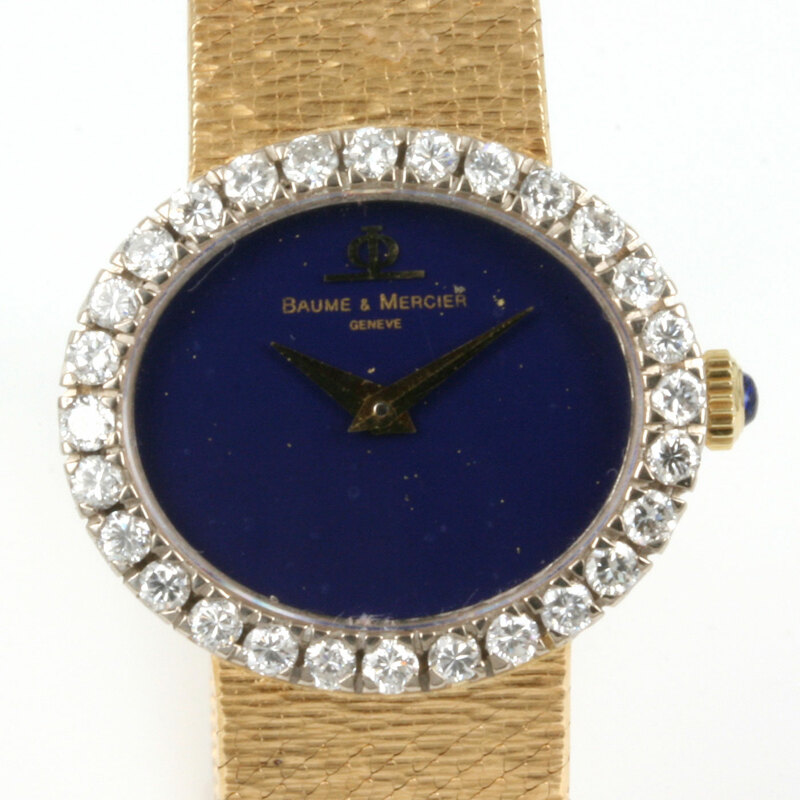 Baume & Mercier with lapis lazuli dial & diamonds. 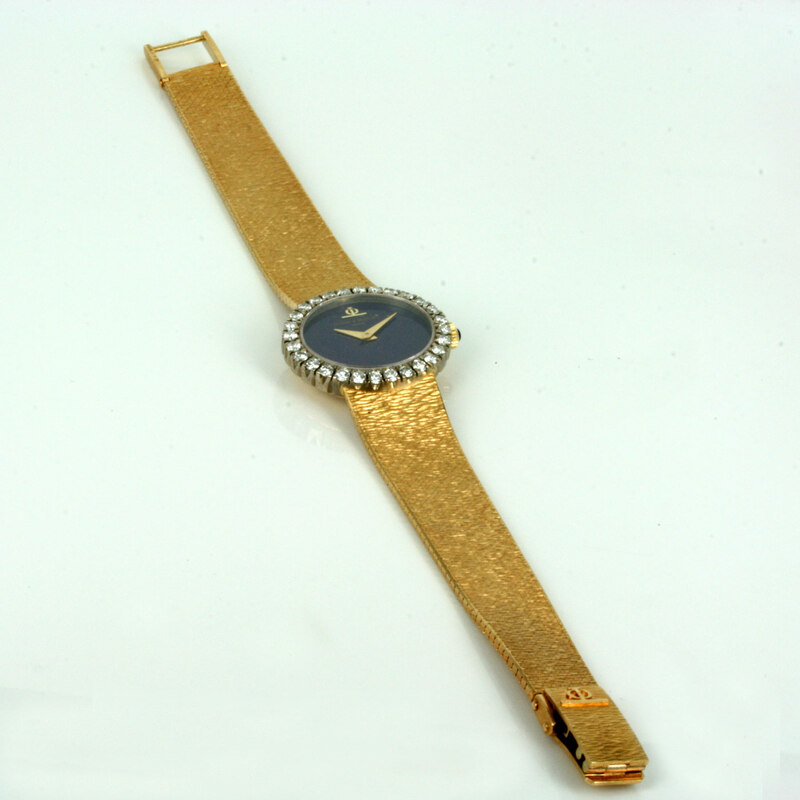 Product code: 1892 Categories: Sold Items, Sold Watches. This ladies Baume & Mercier watch is one of the most elegant and beautiful ones that have ever been produced and looks superb on the wrist. Made in 18ct yellow gold, this Baume & Mercier is fitted with a lapis lazuli dial and surrounded by 28 round brilliant cut diamonds that have a total weight of 1.40 carats and are F/G in colour and VS clarity meaning that they are lovely and white and very clean diamonds. 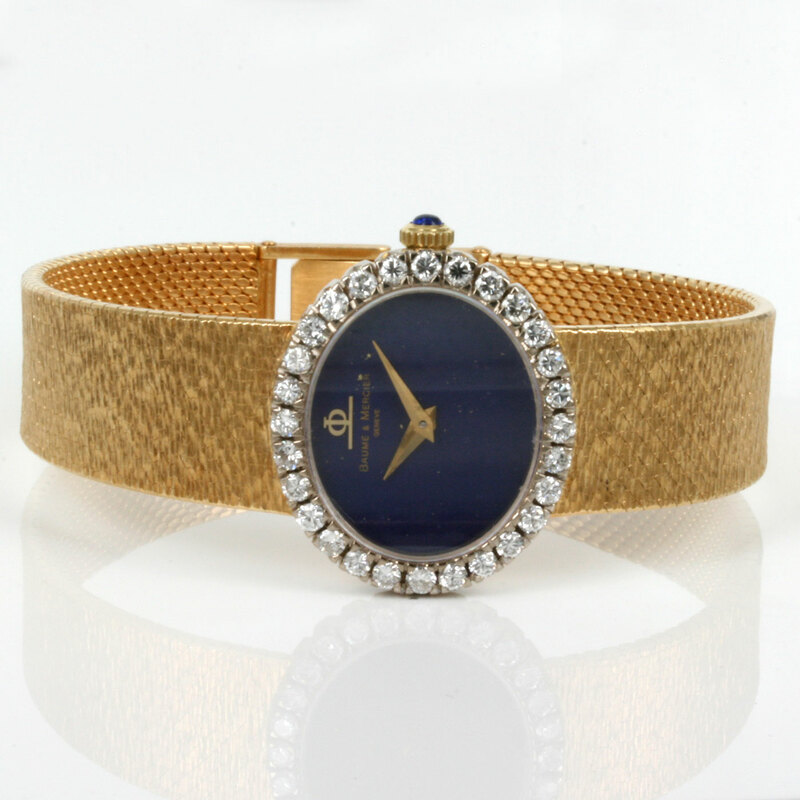 Lapis lazuli has a wonderful blue with golden “flecks” of pyrites as can be seen in the images and all of this adds to the elegance of this watch. 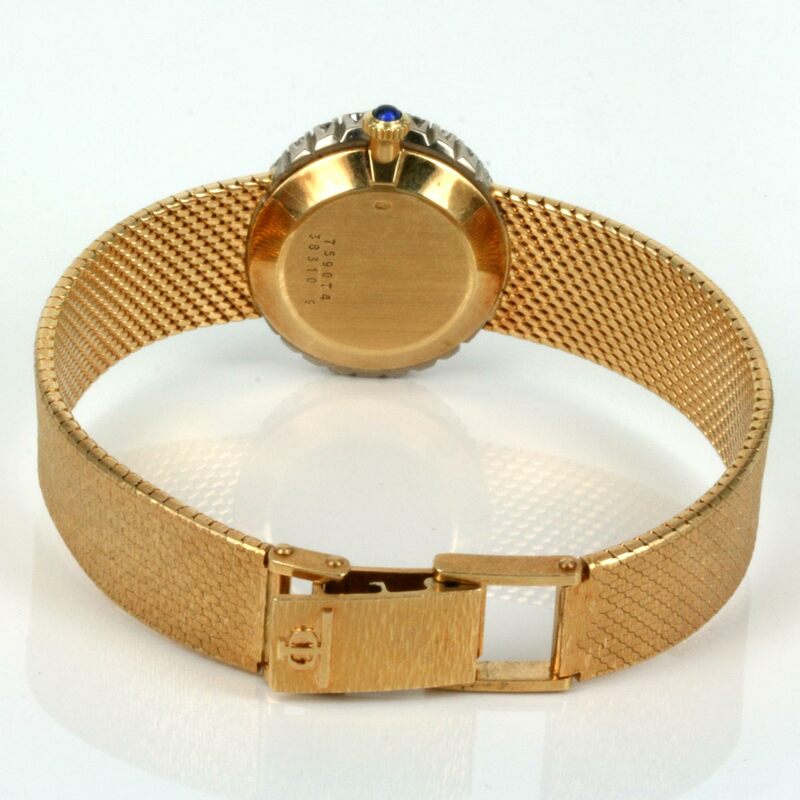 The band is integrated into the case and the entire watch measures 18cm in length and thanks to a very ingenious style of buckle can be worn shorter to 17.2cm. Powered by a 17 jewelled manual wind Baume & Mercier movement that has been fully serviced and comes with our 1 year warranty, this is one ladies watch that is just as much as a piece of jewellery as it is a fine wrist watch.